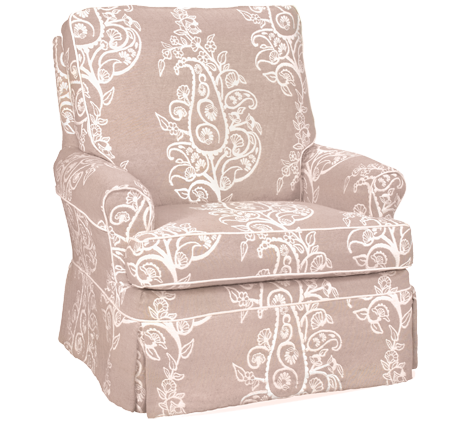 All accent chairs and swivel gliders comes standard with Feather Blend (down & feather mix)cushions. Four Seasons gives you the freedom to choose exactly what you want. There are a variety of arm styles with the options to be fully upholstered or slip covered. Over 300 fabrics to choose from including some that are 100% solution dyed acrylics that resist stains. The frames are made of 7/8″ engineered hardwoods.